Being injured or losing a loved one in a motorcycle accident in Palm Beach Gardens means that you need to call the best Palm Beach injury lawyer you can call. You'll face obstacles and you'll have questions about them, and if you want figure out if you are entitled to recover financially then you'll need a lawyer to answer all the questions you have at this most stressful of times. Depending on the circumstances of your case and the type of your injuries, we may be able to claim these damages for you. This is not an exhaustive list of all the possible accidents. If you have been injured in another type of motorcycle accident, do not hesitate to contact our Palm Beach injury attorneys as we are available and ready to answer your questions. Palm Beach Gardens is a city of 54,000 residents located in Palm Beach County. It is known as the golf capital of the world due to its twelve golf courses within the city limits of only 56 square miles. Palm Beach Gardens hosts the Honda Classic golf tournament, which has been held at two locations in the city: at the Country Club in Marisol and the PGA National Resort and Spa. The city is also known due to its numerous gated communities. Some of them are inhabited with retirees only, which makes more than one-fifth of the total populations of the city. Palm Beach Gardens is located north of West Palm Beach, next to Jupiter, Juno Beach, North Palm Beach, Lake Park, Riviera Beach, and a number of unincorporated communities on its western border. The Florida Turnpike and the Interstate 95 both pass through the city. Florida leads the list of US states with most motorcycle deaths. 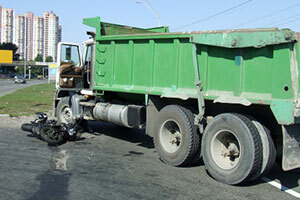 If you or your loved one happens to have suffered in a motorcycle accident on Palm Beach Gardens streets and roads, call our Palm Beach Gardens motorcycle accident lawyers to help you get the compensation that you deserve. Call us now at 305-285-1115 for free consultations. You'll pay nothing unless we recover for you.